The above example is a 1980s Bachmann production and carries the stock number 43-1000-02 on its box flap. 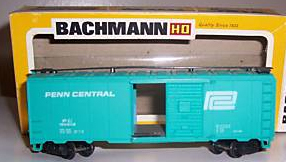 Bachmann's 41' Steel Box Car is among the first group of HO-scale rolling stock offerings in the company's 1970 product catalog. 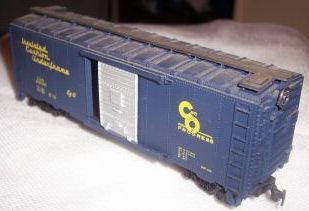 Five roadnames, B&M, C&O, IC, Reading, and Santa Fe made up the original group of Bachmann 41' Steel Box Cars. 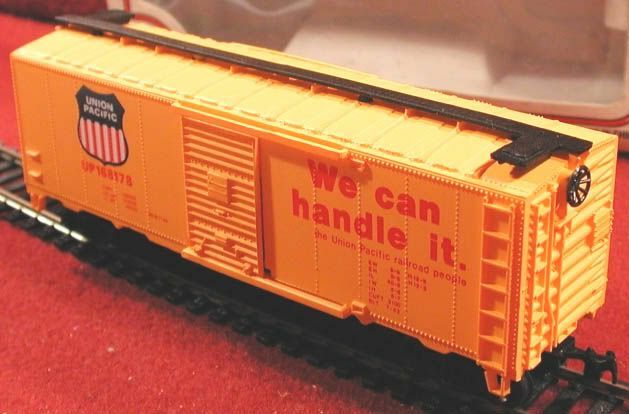 The Burlington Northern, CP Rail, Penn Central offerings were new additions to this car's line in the 1972 Bachmann catalog. The '72 catalog lists this car with a $2.50 suggested retail price.